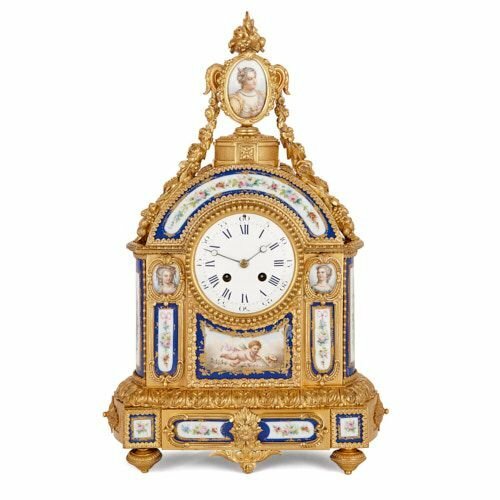 This ornate ormolu clock is decorated with a wealth of exquisitely-painted Sèvres style porcelain plaques, depicting court beauties, cherubs and flowers. 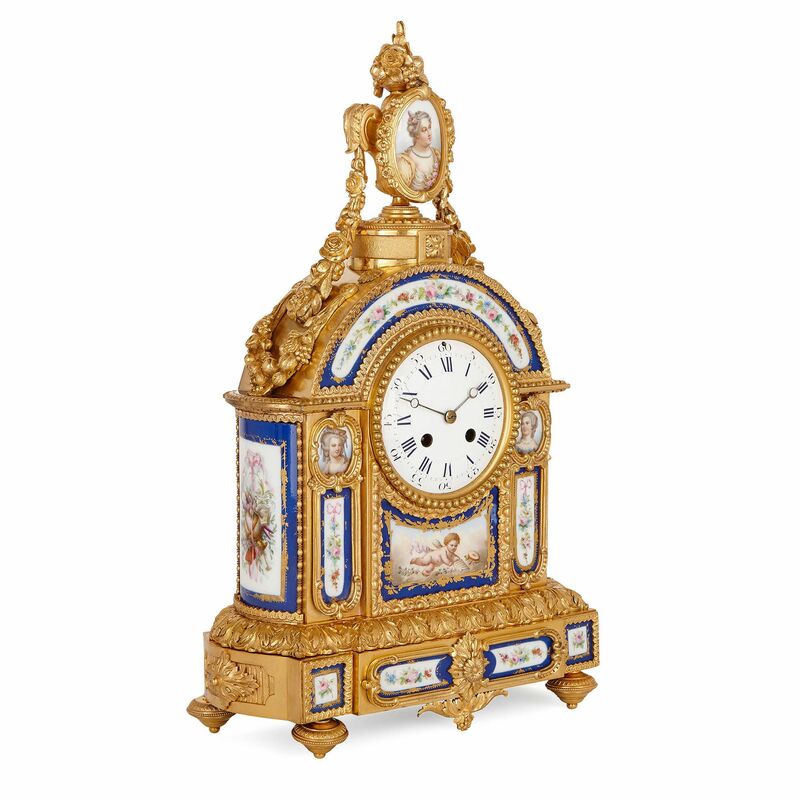 The clock is comprised of an ormolu case with an arched top, set on four toupie feet. 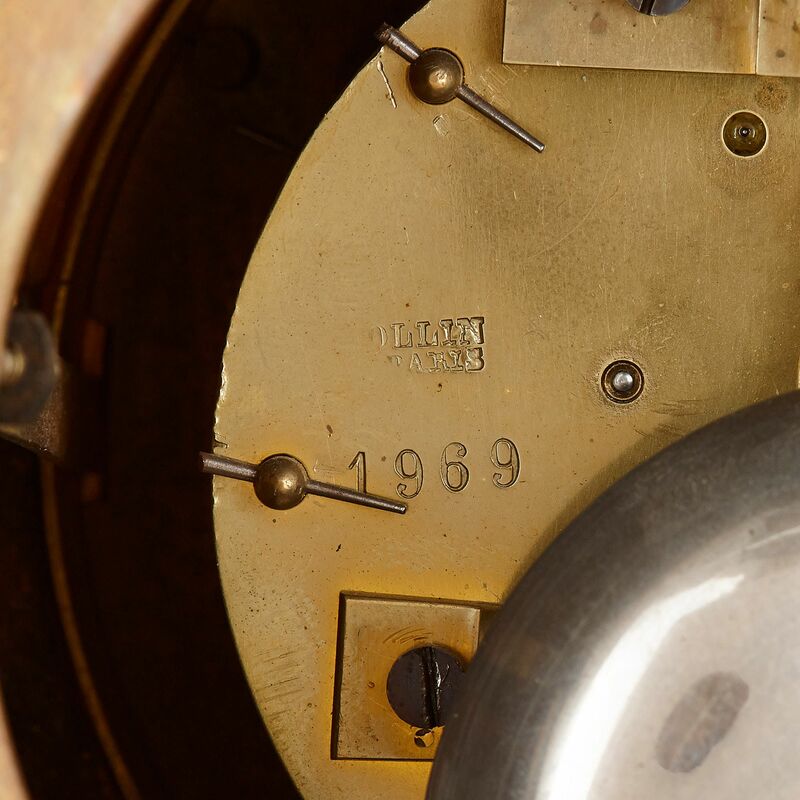 At the centre of the clock body is a circular white enamel dial, inscribed with both Roman Numerals and Arabic Numbers. 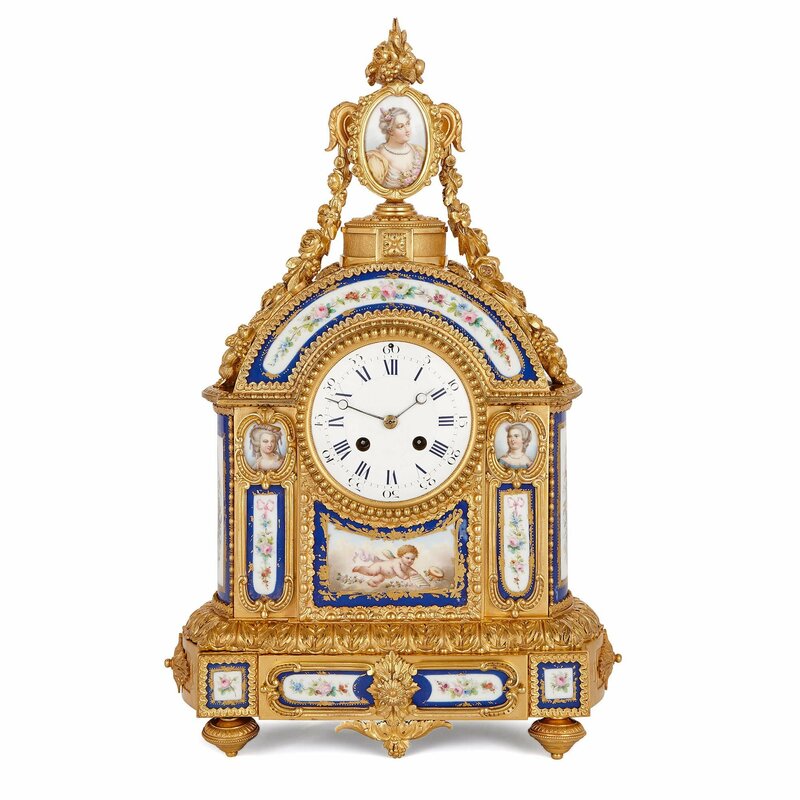 The dial is contained within a beaded, ormolu frame. Decorating the clock are variously sized and shaped porcelain plaques. 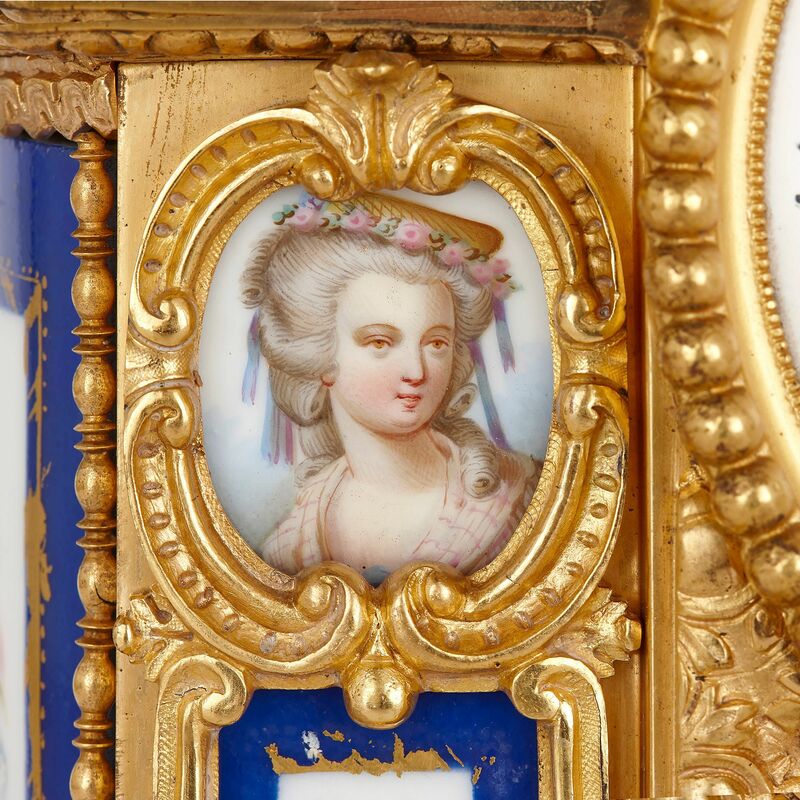 These are framed within ormolu cartouches, wavy borders, ovolo mouldings and foliage. 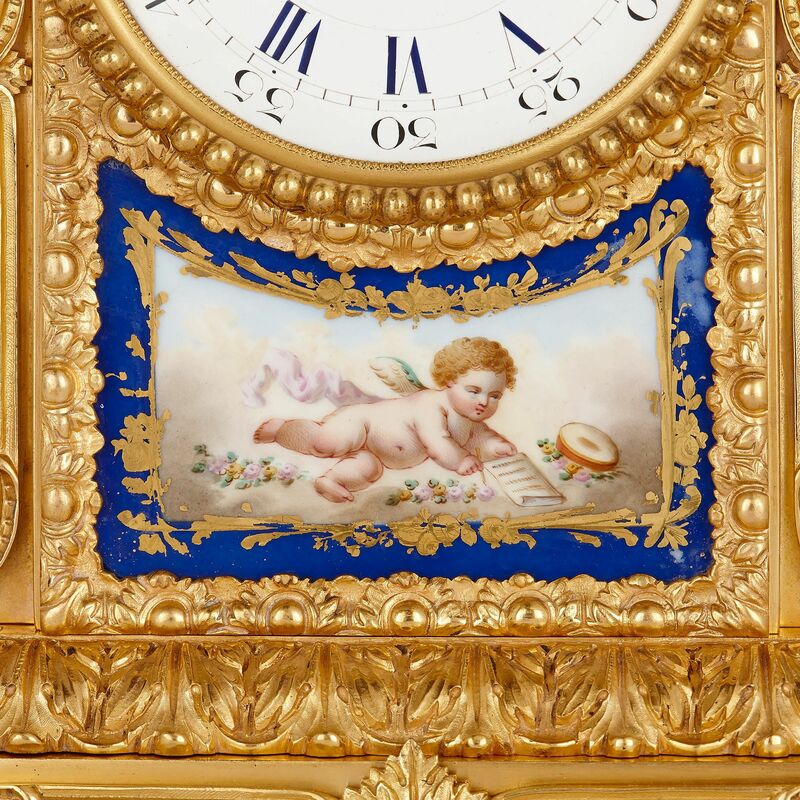 The plaque directly beneath the dial depicts a cherub in flight, holding a piece of paper and pen, placed within a gilt, foliate frame, against a dark blue background. Those either side of the dial show bust portraits of young ladies from the French court. 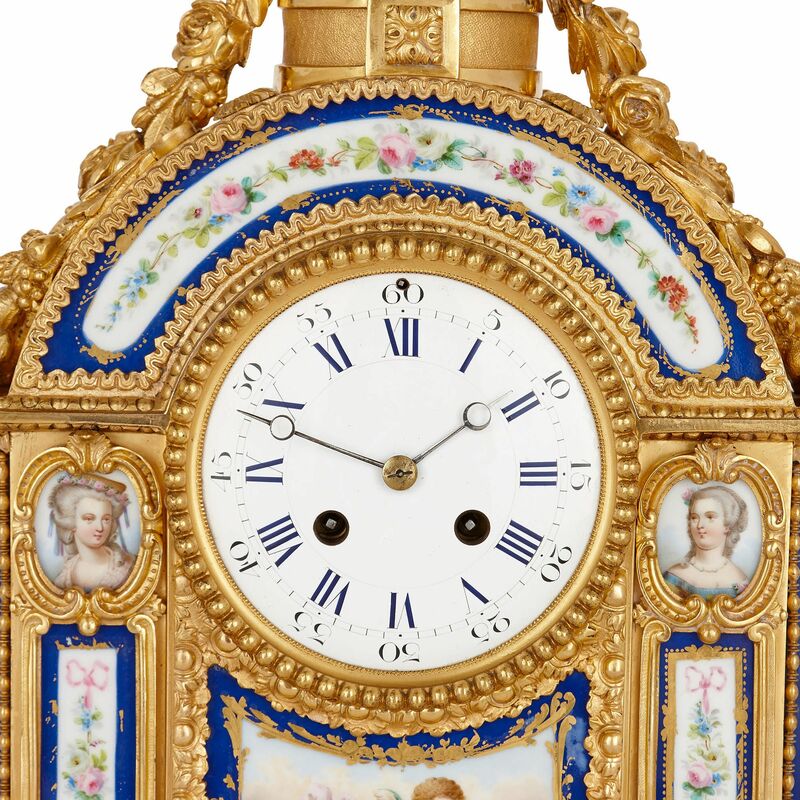 The remaining porcelain plaques on the front of the case are decorated with colourful flower arrangements, set against white grounds and placed within parcel gilt dark blue borders. The clock’s sides are mounted with plaques depicting collections of books, globes, flaming torches, and doves. Topping the arched case is an oval ormolu frame, which is raised up on a plinth. This contains a bust portrait of a beautiful woman, with roses in her hair and held against her breast. Ormolu flower garlands hang from the frame down the sides of the arched top. These are accompanied by swags of ripe fruit. 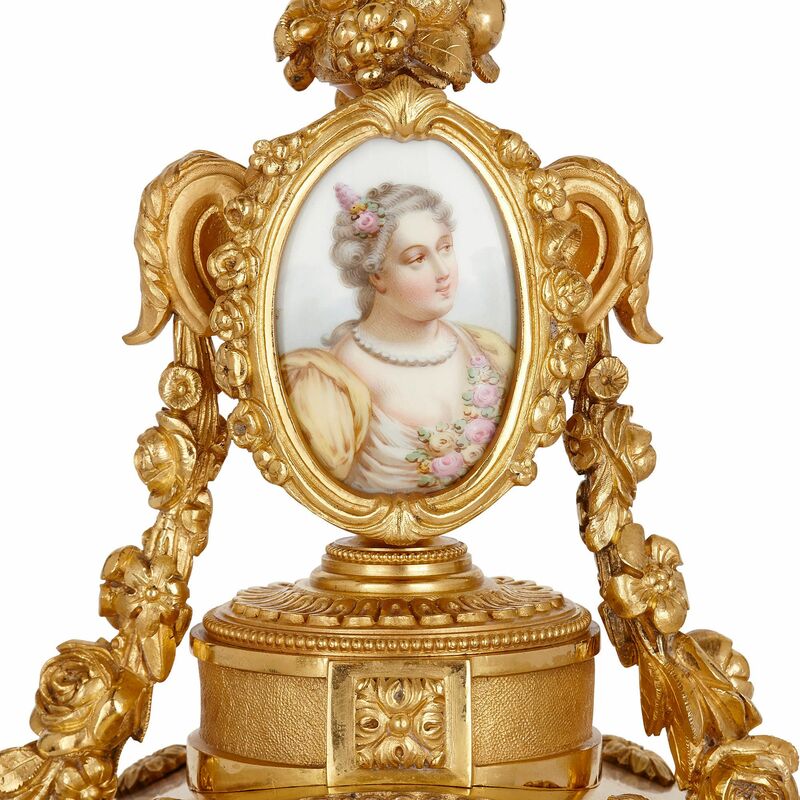 The frame is surmounted by a floral ormolu finial.